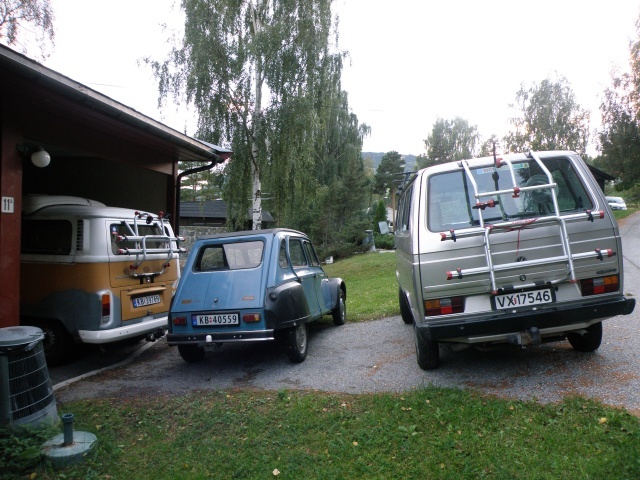 This Tuesday I took my Dyane to Gol Trafikkstasjon for inspection. This went well, and after a quick visit to Sparebank1 I returned to the Trafikkstasjon and walked out a few minutes later with a set of Norwegian number plates and a temporary registration certificate for my Dyane. That evening, to celebrate, we drove up to Solseter to visit Noel, with the roof open of course. Yes, it is great to be able to use my Dyane again. The Dyane in our back garden. The Dyane and our fleet of decreipt cars, two of which work fine (for those of you who have not been paying attention that is the Dyane and the T3 Syncro). 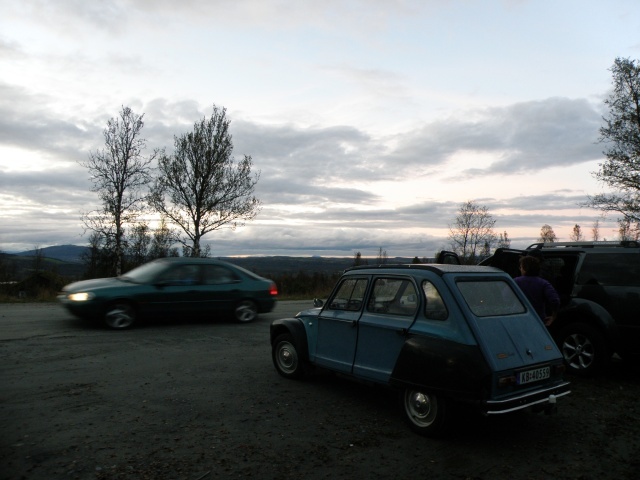 I took the Dyane up to Golsfjellet with Gol Turlag, which reminded me just how good the ride comfort is on a Citroën A-Type. 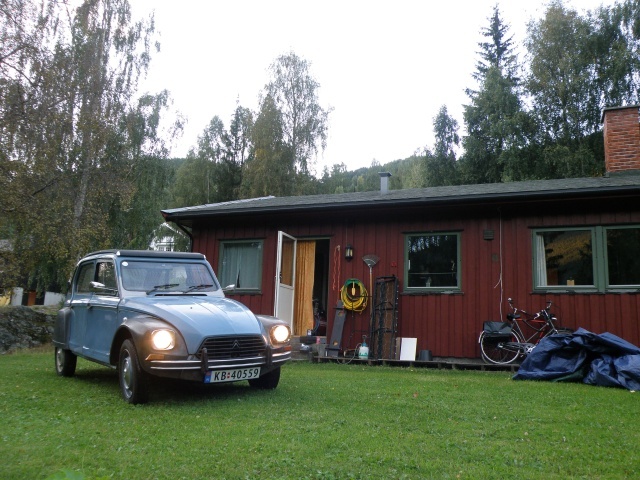 This entry was posted in Dyane and tagged Buskerud, Citroën Dyane 6, Gol, Norge. Bookmark the permalink.